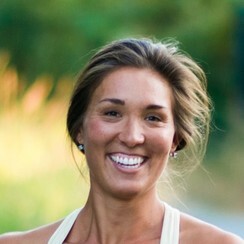 Emiko is a Massage Therapist and Personal Trainer. She graduated with from the West Coast College of Massage in 2013. Since then she's been practicing on the Island in multidisciplinary clinics with a variety of clientele. She's always had a passion for health and fitness. Growing up she played a variety of sports and spent 4 years on the Junior National Fencing Team. She attended the University of Victoria to study Community health and Recreation and worked as a Personal Trainer Fitness Instructor for the Canadian Forces. After years in the health and fitness field she saw how injuries and certain conditions can affect peoples ability to move and live a healthy lifestyle. This made her want to become a hands on part of the rehabilitation process. Emiko has experience treating a wide scope of conditions such as; chronic pain, fibromyalgia, whiplash, postural dysfunction, athletic injuries, headaches, and immobility. She believes in customizing each treatment to meet the clients needs, using a wide range of techniques including but not limited to; trigger point release, muscle energy technique, soft tissue release, deep tissue massage, and hydrotherapy, and therapeutic exercise. With a passion for patient education and empowerment, she helps patient to achieve their goals while working with an open and easy communication style.